Call for current opening hours. Deplorable! Unhealthful! Worn out! Dismal! Repulsive! 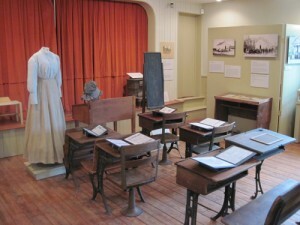 Take off those rose tinted glasses and step into the world of the 19th century one-room schoolhouse! 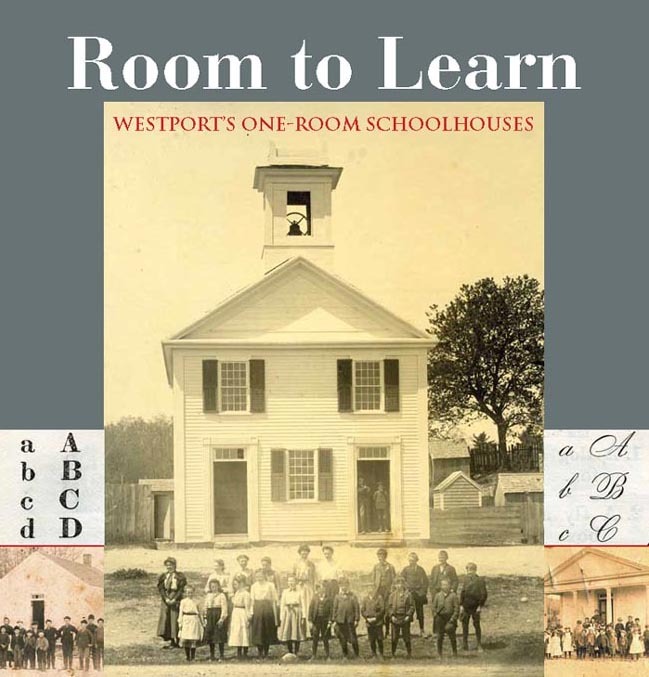 This exhibition explores the story of the nineteen one-room schools that once dotted the Westport landscape in the 19th century, and the creation, followed by slow demise of an unsustainable district system. Nothing illustrates the plight of children in the 1800s more dramatically than the daily hardships that they faced at school. Although each one-room schools differed somewhat from the exterior, they were all equally primitive inside and presented the students with some serious challenges to their wellbeing. In the winter, children risked being sprayed with hot soot from malfunctioning woodstoves. They risked contracting life-threatening diseases through the prevalent use of the common drinking cup and appallingly unkempt outhouses. They faced serious bullying and class disruption as anywhere from 15 to 50 pupils ranging in age from 5 to 20 years, crowded into a single room. Many children were sentenced to a life of impaired eyesight from the lack of adequate lighting in the schools. It is astounding that within these difficult conditions, children managed to read the literary classics, learn complex bookkeeping skills, take in the practical arts (music, drawing, agriculture), and learned how to plant gardens. The decades-long debate between the school committee which advocated for consolidating the schools and parents who desperately wished to keep their children within a safe walking distance of their homes, is well documented in the annual school committee reports. A fascinating contemporary visual record of photographs of many of the schools only serves to highlight the plight of the often barefooted and bedraggled school children. 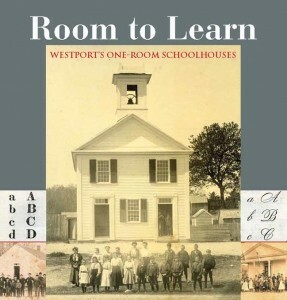 Despite the poor conditions inside the buildings, the one-room schoolhouse has left a lasting architectural legacy, such as the Greek Revival Bell School and the temple-like Wolf Pit School. Many of the buildings that were once one-room schools still survive, but have been significantly altered. The struggle to provide an effective public education system is ongoing and many of the concerns voiced in the 19th century are still relevant today. We invite you to experience a one-room schoolhouse by visiting our exhibition at the Bell School! This exhibition is supported by the Westport Cultural Council through a grant from the Helen E. Ellis Charitable Trust administered by Bank of America.